Getting remarried after a divorce is common. We only live once and there is no rational basis to swear off relationships. Instead, it is often natural that we move on with our lives and pursue new love. There are, however, legal considerations and consequences that come with it. A common question that we hear regarding remarriage is whether there is a waiting period to remarry. Before answering this question, you must first understand how divorce works in North Carolina. Our state is an absolute divorce state, which allows a couple to obtain a no-fault divorce after being separated for a full year. This means that to get the divorce, a couple must wait a year—while living separate and apart from one another. Neither spouse can remarry during this waiting period. However, once the absolute divorce is granted, there is no legal impediment to immediately remarrying. Alimony, or spousal support, is designed to provide a dependent spouse the ability to maintain his or her standard of living to the extent possible. Courts can consider an incredibly broad range of factors in awarding alimony—including marital misconduct—that can result in significant awards. If you are paying or receiving alimony, remarriage will have a major impact on you. The North Carolina General Statute states that “If a dependent spouse who is receiving postseparation support or alimony from a supporting spouse under a judgment or order of a court of this State remarries or engages in cohabitation, the postseparation support or alimony shall terminate.” In other words, a court can modify an alimony order to terminate alimony if the dependent spouse remarries. 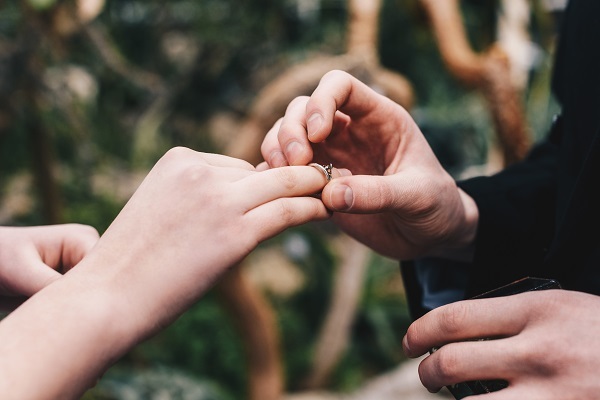 The theory behind this law is that with this new marriage, the dependent spouse becomes dependent upon their new spouse and the former supporting spouse should be relieved of the obligation. Child support is different than alimony, as it is designed to meet the child’s needs. As such, remarriage does not terminate a parent’s child support obligation as the new spouse is under no legal duty to provide support for another person’s child. If you are paying child support and have a child with your new spouse, then this may reduce your child support obligation. This is because courts can consider whether other children are residing with you when calculating child support. However, it is critical to understand that having a child in your new marriage does not automatically constitute a substantial change in circumstances to modify the child support order. You should speak with an attorney to determine how remarriage impacts your child support obligation. Separations and divorces are incredibly tough experiences, but they also open you up to new opportunities. If you are interested in exploring a separation, contact New Direction Family Law. Our attorneys are knowledgeable and experienced, and they can provide you with custom-tailored advice so that you can make well-informed decisions. 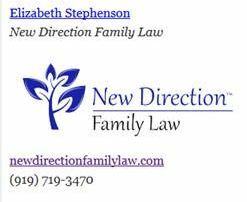 Call New Direction Family Law at (919) 719-3470 to schedule a consultation, or contact us through our website.